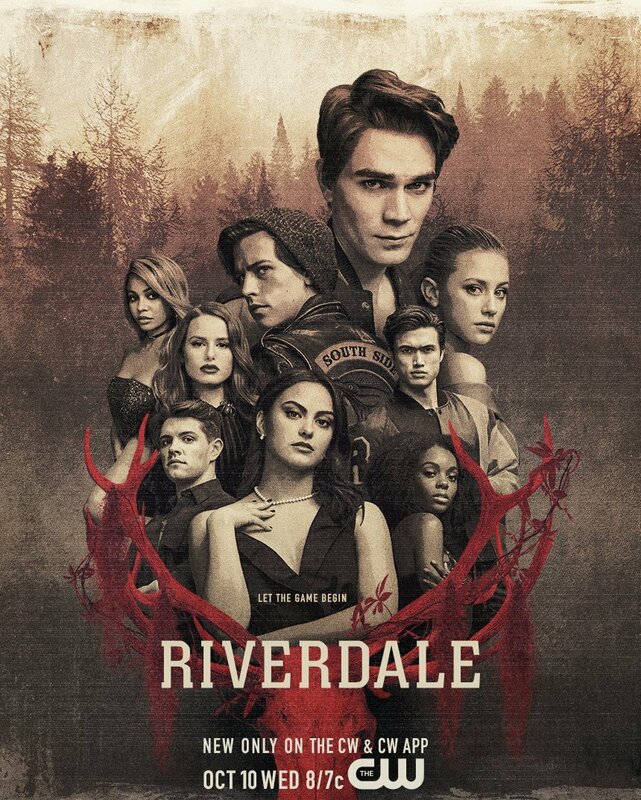 Riverdale -- "Chapter Thirty-Six: Labor Day" -- Image Number: RVD301a_0268.jpg -- Pictured (L-R): Cole Sprouse as Jughead and Lili Reinhart as Betty -- Photo: Katie Yu/The CW -- ÃÂ© 2018 The CW Network, LLC. All Rights Reserved. 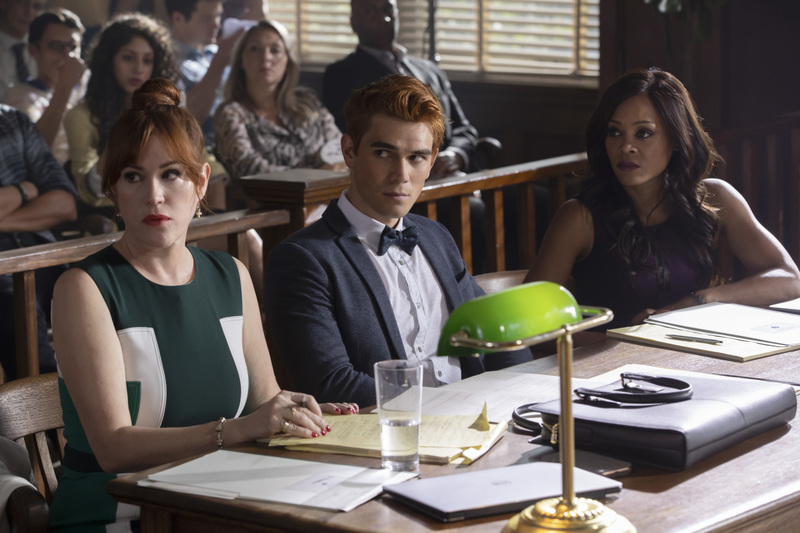 Riverdale -- "Chapter Thirty-Six: Labor Day" -- Image Number: RVD301a_0304.jpg -- Pictured (L-R): KJ Apa as Archie and Camila Mendes as Veronica -- Photo: Katie Yu/The CW -- ÃÂ© 2018 The CW Network, LLC. All Rights Reserved. 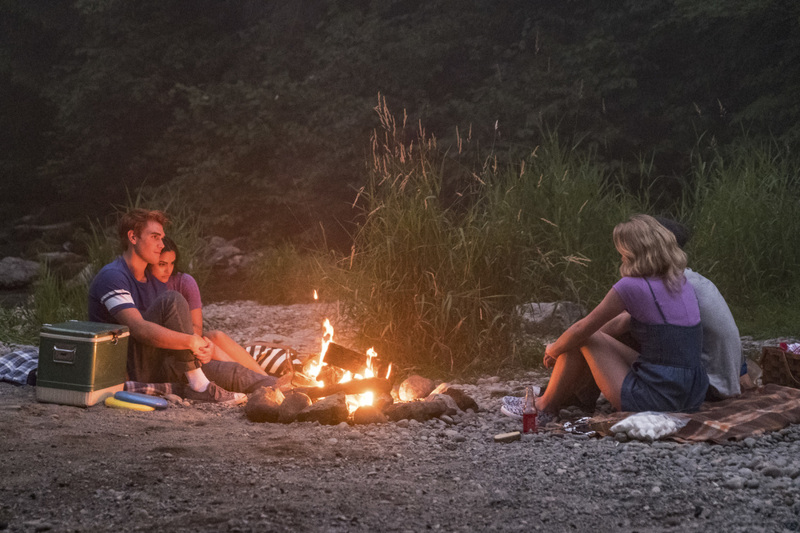 Riverdale -- "Chapter Thirty-Six: Labor Day" -- Image Number: RVD301a_0317.jpg -- Pictured (L-R): KJ Apa as Archie, Camila Mendes as Veronica, Cole Sprouse as Jughead and Lili Reinhart as Betty -- Photo: Katie Yu/The CW -- ÃÂ© 2018 The CW Network, LLC. All Rights Reserved. 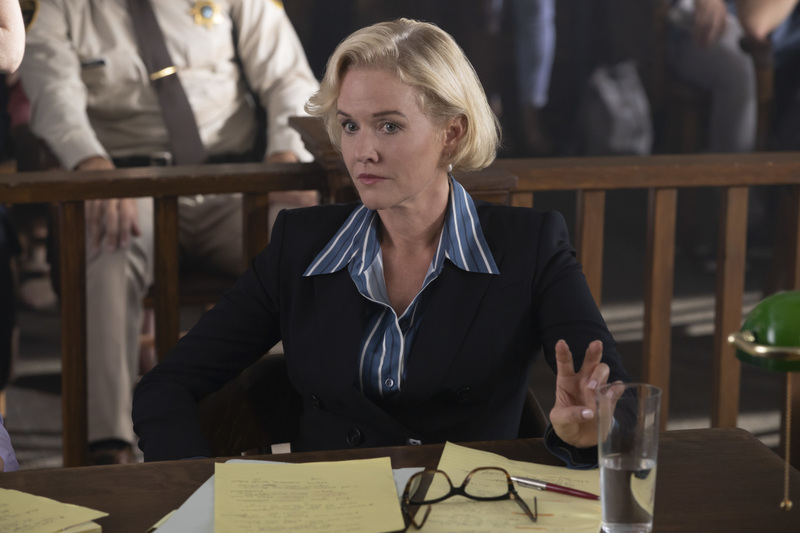 Riverdale -- "Chapter Thirty-Six: Labor Day" -- Image Number: RVD301b_0058.jpg -- Pictured: Penelope Ann Miller as Ms. Wright -- Photo: Jack Rowand/The CW -- ÃÂ© 2018 The CW Network, LLC. All Rights Reserved. 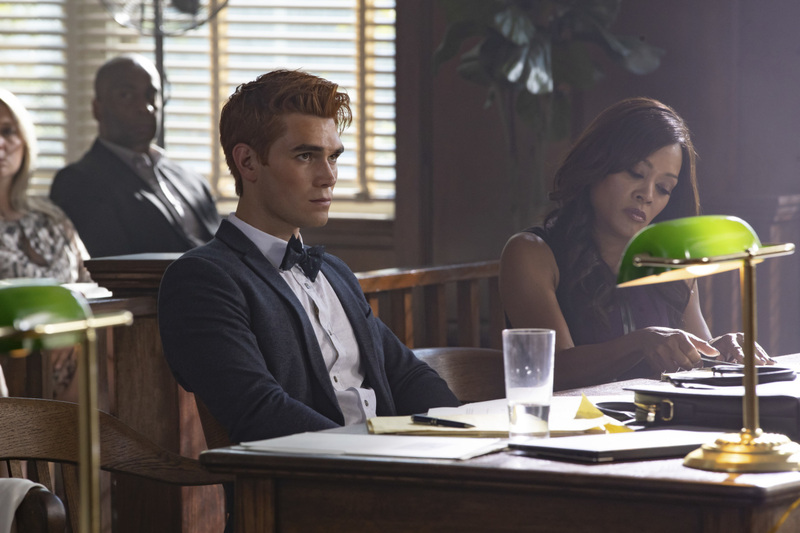 Riverdale -- "Chapter Thirty-Six: Labor Day" -- Image Number: RVD301b_0113.jpg -- Pictured (L-R): KJ Apa as Archie and Robin Givens as Sierra McCoy -- Photo: Jack Rowand/The CW -- ÃÂ© 2018 The CW Network, LLC. All Rights Reserved. 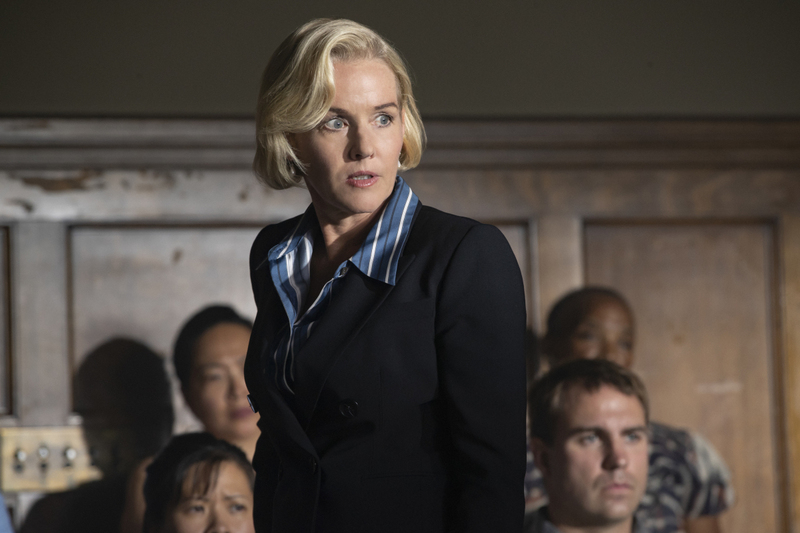 Riverdale -- "Chapter Thirty-Six: Labor Day" -- Image Number: RVD301b_0217.jpg -- Pictured (L-R): Molly Ringwald as Mary Andrews, KJ Apa as Archie and Robin Givens as Sierra McCoy -- Photo: Jack Rowand/The CW -- ÃÂ© 2018 The CW Network, LLC. All Rights Reserved. 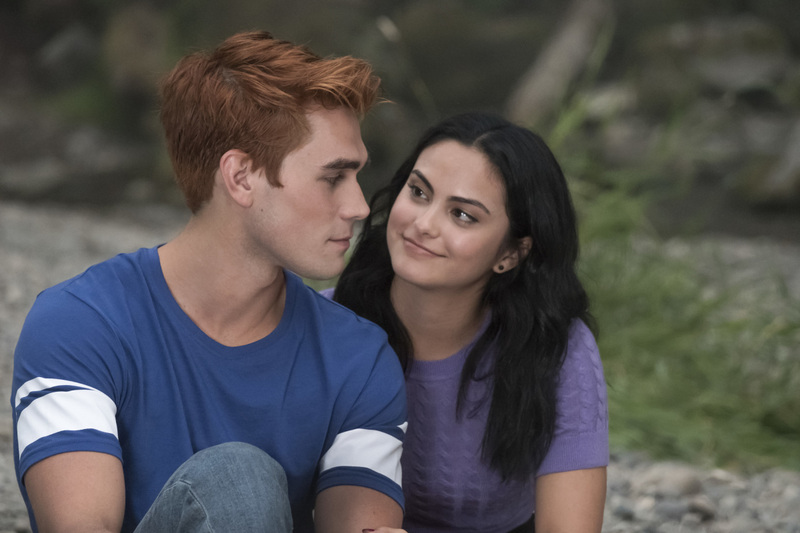 Riverdale -- "Chapter Thirty-Six: Labor Day" -- Image Number: RVD301a_0304.jpg -- Pictured (L-R): KJ Apa as Archie and Camila Mendes as Veronica -- Photo: Jack Rowand/The CW -- ÃÂ© 2018 The CW Network, LLC. All Rights Reserved.